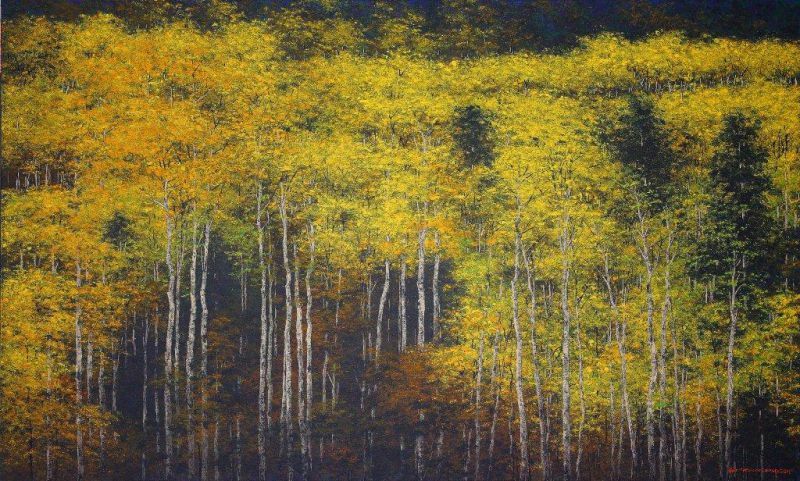 Choy Moo Kheong (b.1950) is a self-taught artist from Singapore who is inspired by the romanticism of nature. He expresses his deep love for nature from his heart and his paintings are creative expressions of passion for the lands he has visited. 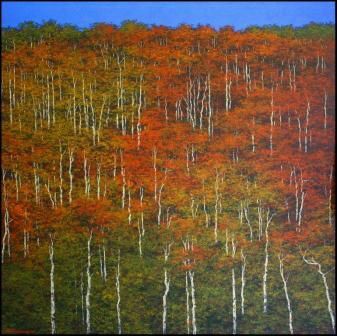 He is not merely inspired by the land, but also paints inwardly; rendering his own interpretation and perspective of the world. Choy loves quiet, empty spaces that bespeak solitude and peace. He believes that sometimes people hold memories of places they visit. A lot of the emotions they experience are deeply personal and tend to be appreciated in silence. Thus, his paintings represent the "tangible, that speaks of the vastness of silent words." His journey started when he left his job in Singapore, and with S$900 in his pocket, ventured out to Thailand and then India where he joined an ashram. There, amidst austere, monastic surroundings, he learnt yoga, studied spiritual philosophy and meditation. The following four years saw him traveling as a missionary for his ashram, with active involvement in teaching yoga philosophy and fund-raising for social projects and his own livelihood. However at the age of 28, something stirred within him and he realized spiritual teaching was not his destiny. 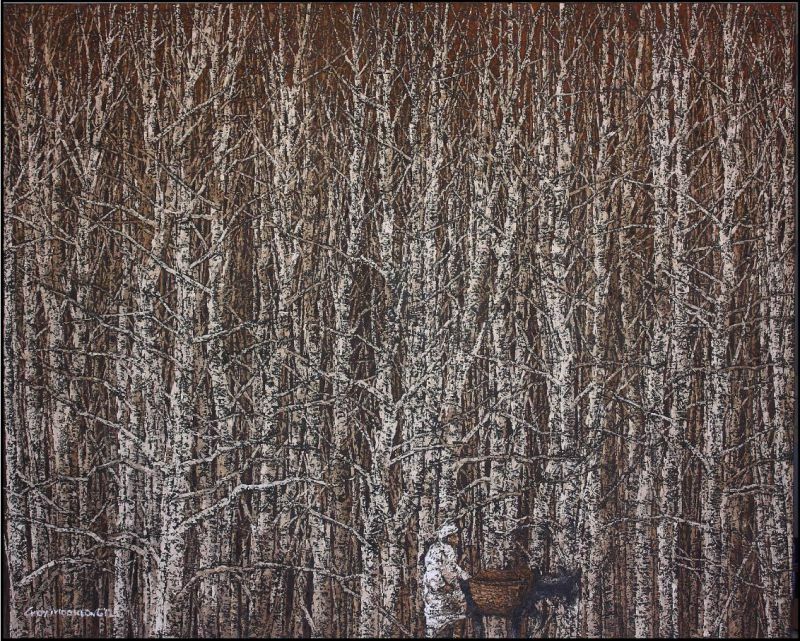 Choosing his own path, he returned to Singapore in 1979 to teach himself how to paint. For Choy, painting is what he enjoys doing the most and he marks this journey as, "To realize what I want to do is the easy part, but figuring how I am going to do it, is uncertain and unknown without a job or money". Combining his innate talent and creativity and determination, he succeeded despite the odds, strengthened by his earlier struggles abroad. He held on to his dreams, clung to his resolve and was rewarded when his works begun to be accepted and exhibited. Since then, his work has been exhibited in France, Switzerland, Brunei, Hong Kong, Malaysia and Singapore. 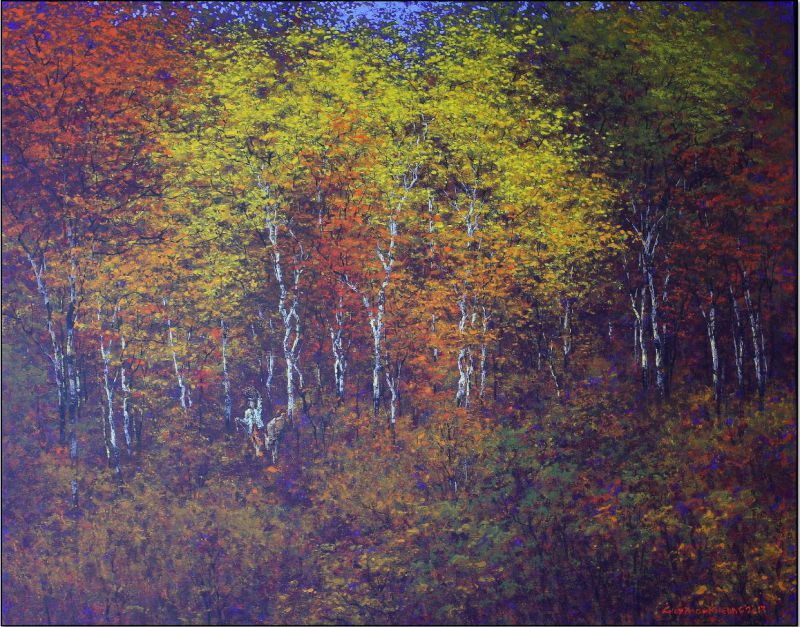 Besides attracting international and local private collectors, his work has also been collected by private organizations such as the National Bank of Abu Dhabi, the Canadian High Commissioner, Glaxo Holdings in London, the New York Institute of Finance in Singapore, the Sultan of Brunei, JP Morgan Singapore and the Gulf International Bank. His works range from photo-realistic drawings of vast skies to surreal pieces that break the conventions of traditional perspective. All his works retain a dream-like quality to them and are devoid of buildings or human forms. He prefers it that way as he is the most comfortable amidst nature's embrace. Choy feels that the land, water, trees, skies and rivers all imbue humanity with purpose, meaning and joy; reminding each and every one of us that we are truly alive.